FireBeetle LoRa 868MHz wireless transmission module adopts a high-performance SX1276 LoRa 868MHz chip and with built-in PA (power amplifier) gain, compatible with Aruino. 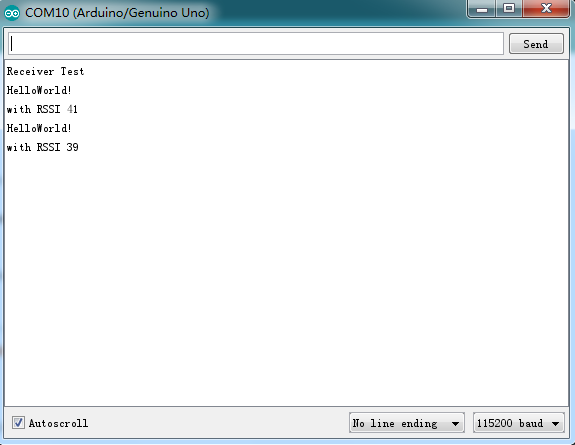 It supports long-range monitor and FSK modulation. The maximum transmission rate of the module can reach up to 300Kbps. The module also supports LoRaTM and can provide a maximum transmission of 37.5Kbps. 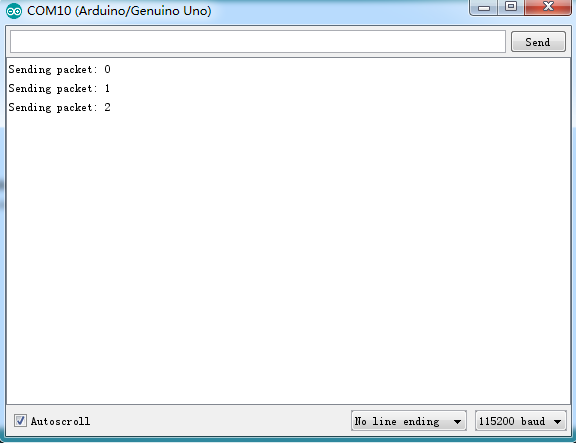 The circuit current is even lower than 0.2uA in the sleep mode. It can be widely used in remote home automation detection, health monitoring, wearable device and so on. 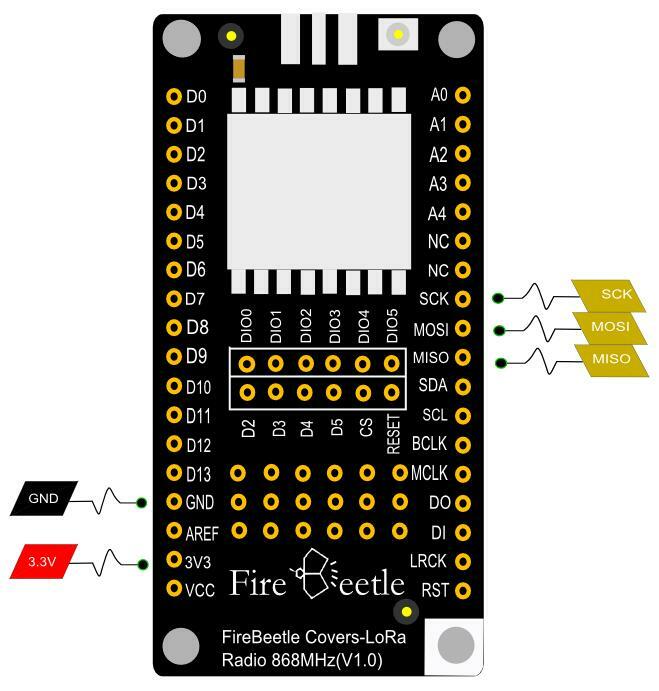 FireBeetle Covers-LoRa Radio 868MHz mainly communicates via SPI interface(MISO, MOSI, SCK, CS, RESET), and couples these control ports to the SPI interfece(MISO, MOSI, SCK) on the FireBettle mainboard. 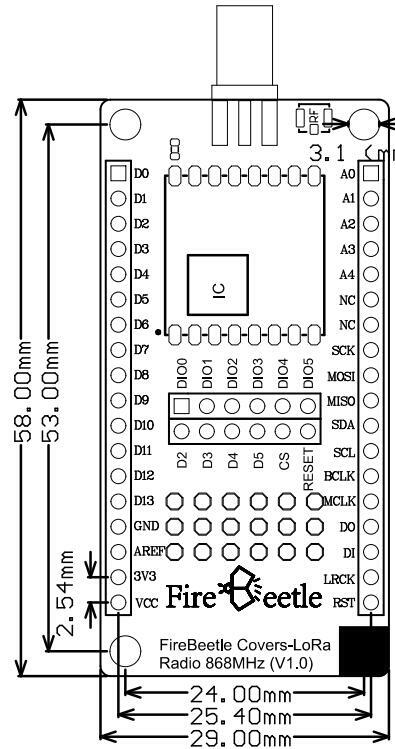 CS(chip-select) and RESET are connected to D2, D3, D4, D5 by DuPont wires. Download FireBeele Covers-LoRa Radio 868MHz Library first. How to install library files? * @n This example is receive. * @n This example is send. 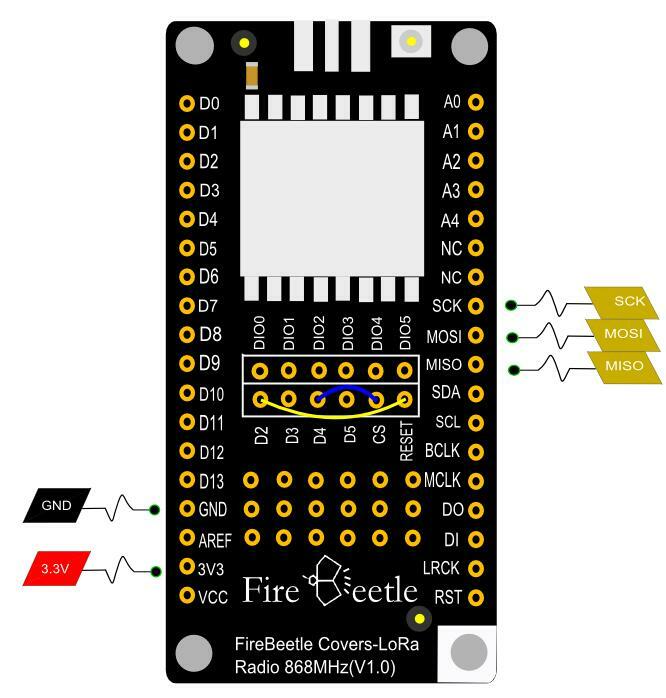 Get FireBeetle Covers-LoRa Radio 868MHz from DFRobot Store or DFRobot Distributor.